If we are talking about tourism around West Java, Indonesia, it could be an endless discussion. Though it is not as famous as Bali, Lombok or even the neighbouring provinces of Central and East of Java, West Java is also special. Previously I have written some posts about places or things to do in West Java, like enjoying the beauty of rural Java in Sawarna, going paragliding in Puncak and exploring Bogor, which is only 45 km away from Jakarta. Guess what? West Java is a lot more than that! Bandung, which is the capital of West Java province, is a haven of development for creatives industries. If you take a look closer, there are plenty of creative industries that touch every aspects of life in Bandung. Local designers create a lot of interesting and great clothing. To prove that, if you have the chance to visit Bandung, you will find plenty of awesome local brands. Starting from t-shirts until boutique attire, there is a whole rang on offer. The creativity in Bandung is also exhibited in the culinary. You will easily find unique restaurants or cafes mushrooming around the city. Besides culinary and fashion, the uniqueness and coziness of accommodation in Bandung is also great to experience. Two of my favourite places are Cottonwood Bed & Breakfast House and Padma Hotel Bandung. There are several mountains around West Java that are also worth a visit. Mount Papandayan is one of the most famous one among local hikers. Two beautiful spots in Papandayan mountain are the death forest and Tegal Alun, where you can see a lot of Edelweiss. Besides Mount Papandayan, there is also Mount Galunggung, which is located near Tasikmalaya. Mount Tangkuban Perahu is also a great places to explore, located not so far away from Bandung. A visit to Tangkuban Perahu is a combination of sightseeing and learning about the legend of Sangkuriang. A legend that is very well-known among the Sundanese people. 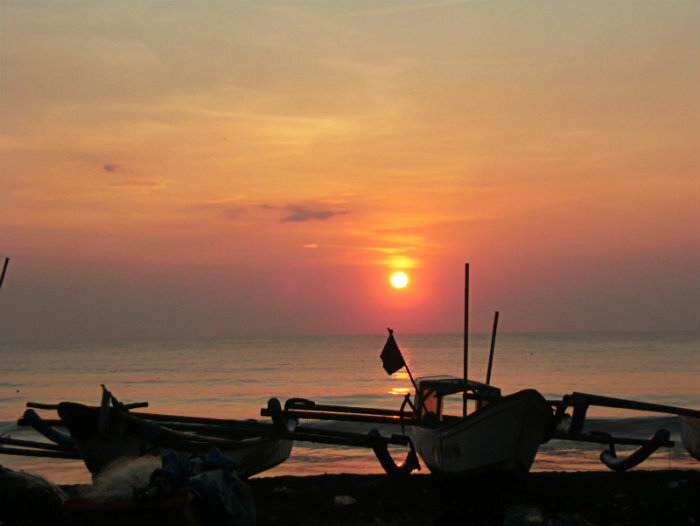 Pangandaran is the other area in West Java that you shouldn’t miss. Try the body rafting in Green Canyon if you are a bit of an adrenaline junkie. Just make sure to visit it during the dry season, then you’ll see the beautiful greeny turquoise water color. Besides wandering around and do the body rafting in Green Canyon, you can also explore the Batu Hiu (Shark Stone) beach, which is located around 14 km from Pangandaran. Talking about beaches, some beaches in Pangandaran are famous surfing spots. Make sure to rent a surf board (or probably bring your own) and surf at Batu Karas beach. So, have you ever been explore around West Java? What is the most interesting thing about West Java that you have found? Thanks for sharing your Travel Experiences It is really nice to see this place, Lovely Pictures. I love Indonesia! My husband worked there the first 10 years of our marriage and the kids and I got to visit three times. I admire people who have energy to plan trips to distant locations like Java. I am mostly focused on Europe. First, Thank you for this beautiful post and your experience you shared with us thru this blog. Incredible pictures, it is really travel blog provide to all times the most fabulous destinations and different travel experience stories. I am always visit it. You know i love travelling and i love it. Indonesia is awesome! I plan to travel on december! Wow! I love to experience what farm have and to experience the natural ambiance. Mount Papandayan – definitely worth to visit. It brings destruction and at the same time feeds. You Travel information about “Exploring West Java’s Best Kept Secrets” is full of informative for writers and readers thanks for sharing with us.